Fantastic shaped dress, tunic, or pinafore. This piece is so beautifully shaped that when one walks it simply flows. It is cut wide with a deep armhole and wide sleeve. 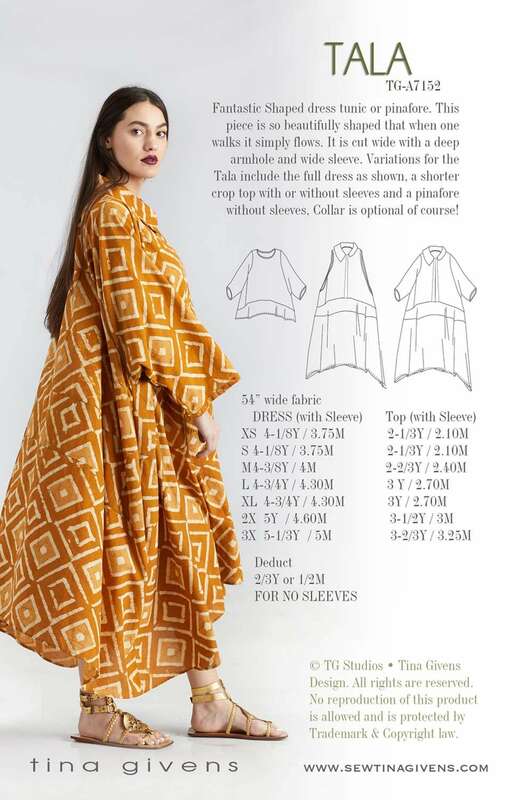 Variations for this garments are a full dress as shown with sleeves and collar; A shorter crop top with or without sleeves and a pinafore without sleeves. You can opt not to add the collar too.